In his speech, the Kuwaiti foreign minister thanked state officials for their contributions to such a monumental event, commending all those involved for their “diligent efforts” to hold the ceremony. Meanwhile, Sheikh Sabah Al-Khaled noted that Kuwait joined the ICI back in 2004 and ties with NATO have since blossomed to include fields such as strategic analysis and disaster management. He added that the idea to initiate the ICI center came about in 2012 and was subsequently approved during a NATO summit in May of that year, as he touted this center as the “first of its kind” in the region. Sheikh Sabah Al-Khaled highlighted a plethora of joint activities held by NATO and Kuwait, including conferences, meetings and lectures, in addition to the impending formation of a special Kuwaiti delegation to NATO. On “pervasive challenges and threats”, he said it behooves Kuwait to step up efforts to enhance its ties with the international community to stifle the rise of terrorism, adding that the new center will be a Launchpad for increased cooperation. Kuwait is steadfast in its efforts to promote regional peace and security, Chairman of the National Security Bureau (NSB) Sheikh Thamer Ali Sabah Al-Salem Al-Sabah said on Tuesday. Sheikh Thamer Al-Ali made the remarks in a speech during the opening ceremony of the North Atlantic Treaty Organization’s (NATO) Istanbul Cooperation Initiative (ICI) Regional Center, held under the auspices of His Highness the Prime Minister Sheikh Jaber Al-Mubarak Al-Hamad Al-Sabah, who was also in attendance. He noted that the center, which was Kuwait’s brainchild, aims to align the views of ICI member nations on various issues, through courses, lectures and workshops to be held in the new ICI center. On topics to be covered in courses offered by the center, he said it includes electronic security and crisis management, adding that the world is rife with political and economic conflicts with ripple effects all across the globe. Moreover, Sheikh Thamer Al-Ali said that conflict abounds in the Gulf region despite an abundance of wealth, as he underscored the significance of closer ties between Kuwait and NATO. 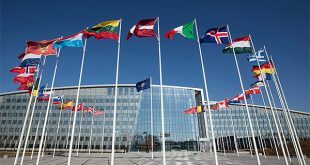 NATO Secretary General Jens Stoltenberg inaugurated Tuesday the NATO-Istanbul Cooperation Initiative (ICI) regional centre, saying it was designed to contribute to longterm regional stability. “Today I am honoured to celebrate the opening of the ICI-NATO Regional Centre. In doing so, we mark two important milestones: A milestone in the friendship between NATO and Kuwait; and a milestone in the blossoming partnership between NATO and the entire Gulf region,” he said in his inaugural speech while opening the ICI center in Kuwait. He said this centre is a historic fi rst: NATO’s fi rst such presence in the Gulf region. It will be a vital hub for cooperation between the Alliance and our Gulf partners, as well as with Saudi Arabia, Oman, and the Gulf Cooperation Council, including in our important fight against terrorism. He said that they will work together in a range of different areas, including: strategic analysis; civil emergency planning; military-to-military cooperation. “We owe a debt of gratitude to Sheikh Thamer Ali Al-Sabah. So I thank him for his leadership and steadfast support. I also want to thank the State of Kuwait in hosting and the people of Kuwait for your generosity and in hosting this Centre, for being such a strong and valued NATO partner and for your long-standing leadership in promoting regional security,” said the NATO chief. Stoltenberg stressed that the partnerships will strengthen through this Centre are vitally important to NATO. “Because the security of Gulf countries is directly linked to the security of all Allies, we face common security threats like terrorism, weapons proliferation, and cyber attacks. And we share the same aspirations for peace and for stability. So it is essential that we work more closely together than ever before,” he said. “We have now developed individual cooperation programmes with all our Gulf partners. Because modern security institutions and well-trained local forces represent our best weapons in the fight against violent extremism,” he said. The NATO chief said he is extremely pleased that the three other ICI partners are represented here today: Bahrain, Qatar and the United Arab Emirates. The ceremony was attended by numerous officials including First Deputy Prime Minister and Minister of Foreign Affairs Sheikh Sabah Al-Khaled Al-Hamad Al-Sabah, Secretary Genduring eral of NATO Jens Stoltenberg, Bahraini Foreign Minister Sheikh Khaled bin Ahmad Al-Khalifa, former Deputy Prime Minister and Minister of Foreign Affairs Sheikh Mohammad Sabah Al- Salem Al-Sabah, Deputy Prime Minister and Minister of Interior Sheikh Khaled Al-Jarrah Al-Sabah, Secretary General of the GCC Dr Abdullatif bin Rashid Al-Zayani, Deputy Minister of Foreign Affairs Khaled Suleiman Al- Jarallah and a number of GCC and foreign diplomats. “I am also glad to welcome the Secretary General of the Gulf Cooperation, and the representatives from Saudi Arabia and Oman,” he added.